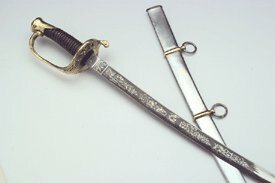 William Wallace and his band of lowland scots routed an English force of 50,000 at Stirling Castle in 1297. 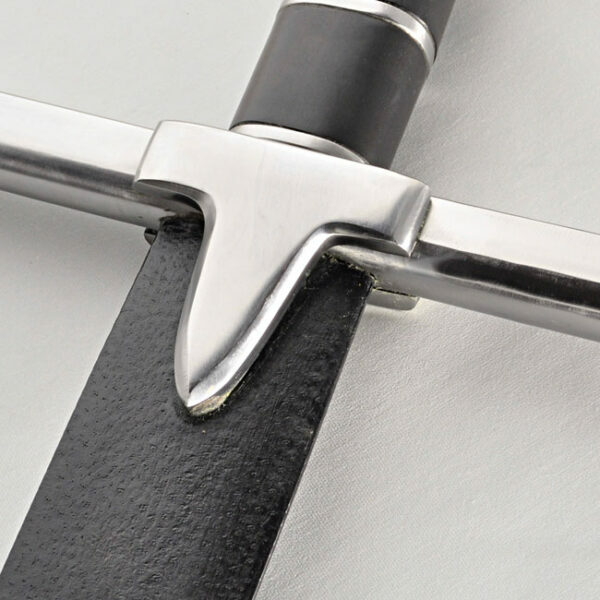 This impressive sword with it’s straight steel cross guard is a predecessor to the later Claymore that had the downsloping guard that developed in the late 15th century. 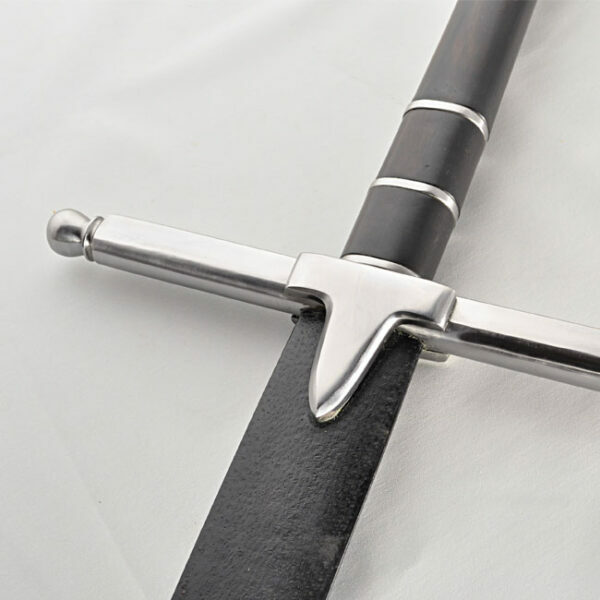 The Generation 2/Legacy Arms Wallace Sword – William Wallace and his band of lowland scots routed an English force of 50,000 at Stirling Castle in 1297. 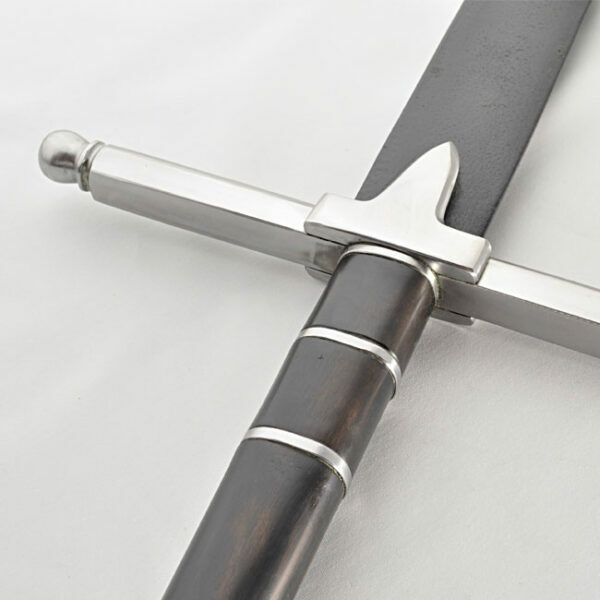 This impressive sword with it’s straight steel cross guard is a predecessor to the later Claymore that had the downsloping guard that developed in the late 15th century. 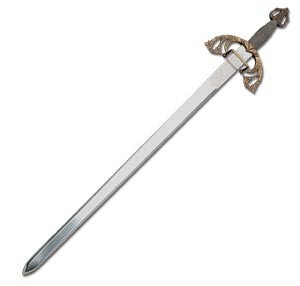 The legend of William Wallace will continue to live on with this sword. 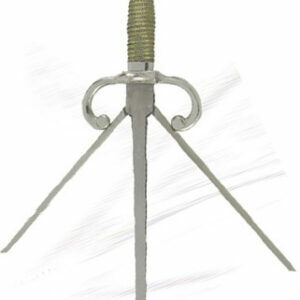 This version of the Wallace Sword is made with a peenned pommel (the tang runs through the pommel and is pounded flat). 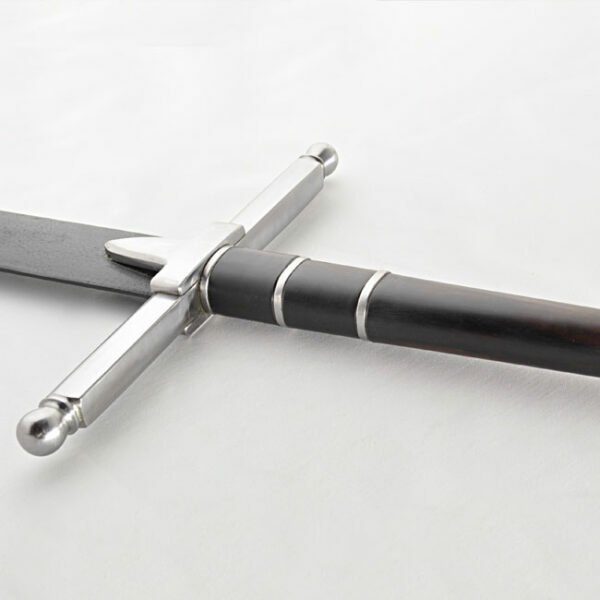 It also features a Madagascar ebony handle with steel rings. 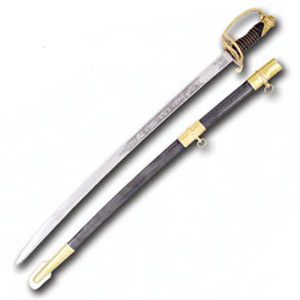 The black leather wrapped ricasso, a feature found on many larger two-handed swords, provided extra leverage in close combat situations. 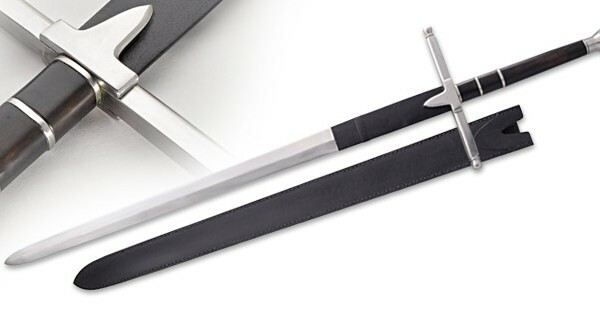 It comes with a full length top grain black leather scabbard.